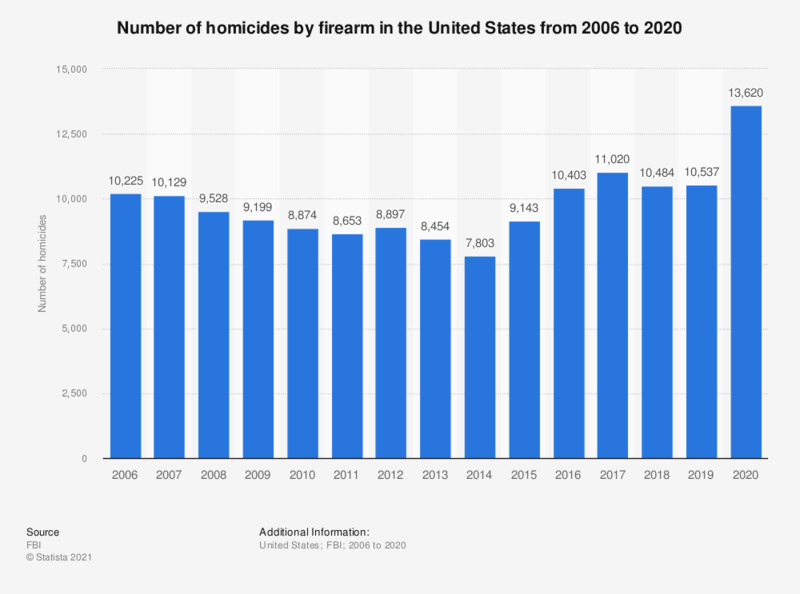 The statistic shows the number of homicides by firearm in the United States from 2006 to 2017. In 2017, about 10,982 homicides in the United States were committed by firearm. Data prior to 2013 has been derived from respective previous publication. Everything On "Firearms in the United States" in One Document: Edited and Divided into Handy Chapters. Including Detailed References.